The numbers and letters on this large, simple clock are easy for anyone to read. It’s especially helpful for those suffering from dementia-related anxiety. For the last 10 years, my favourite wall clock has been a large, simple, self-setting model with hands. It’s on the wall in my workshop and it’s made by a company called La Crosse. And even though it adjusts its own time based on a wireless signal sent out around the world from Fort Collins, Colorado, it’s still not ideal for people losing the ability to remember time and date information. I’ve seen this happen to a few people, and that’s one reason I took a closer look at something called Dayclox. 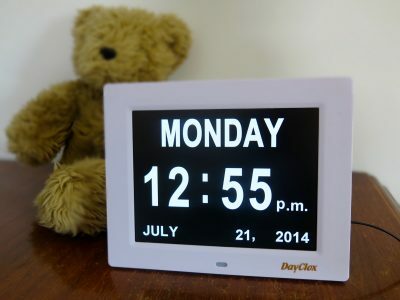 It may be the world’s easiest-to-read digital clock and calendar. Dayclox is a plug-in digital clock with an 8” screen that delivers just the basics, nice and clear. Nothing fancy, just day-of-week, time, month and date information are obvious to see and understand. 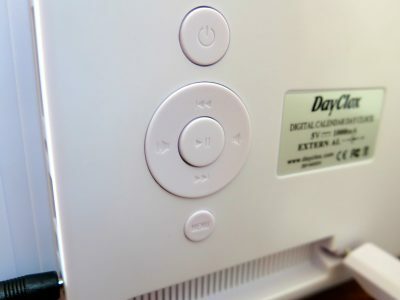 I’ve been using Dayclox in my home for years, and I find it a breath of fresh air. Super-bright, white letters on a black screen make it exceptionally easy to read in my performance tests. My 10 year-old daughter, Ellie, loves to have the clock close to her school desk in the office space above my workshop. 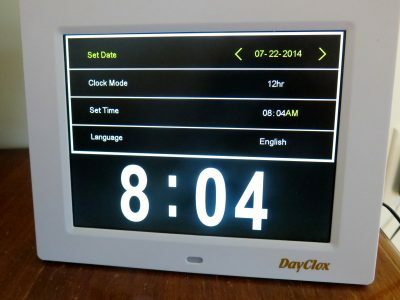 One criticism I can offer is that Dayclox needs to be reset twice a year as daylight savings time come and go. It also needs to be reset if there’s a power failure or if you unplug it. 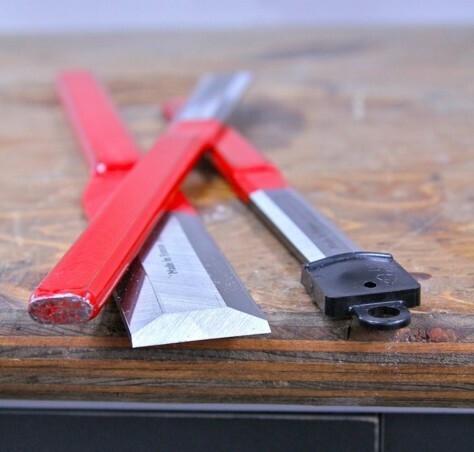 There’s a leg on the back of the clock that extends to allow the unit to stand upright on a table or desk, and a hole in the back of the case for hanging the unit on a wall. Gary liked his mom’s Dayclox experience so much that a few years ago he set up a Canadian retail website as a sideline to his work at the retirement home (www.daycloxcanada.com). That’s turning out to be a story in itself.